Dr. Jari Lavonen is a Professor of Physics and Chemistry Education at the University of Helsinki, Finland. 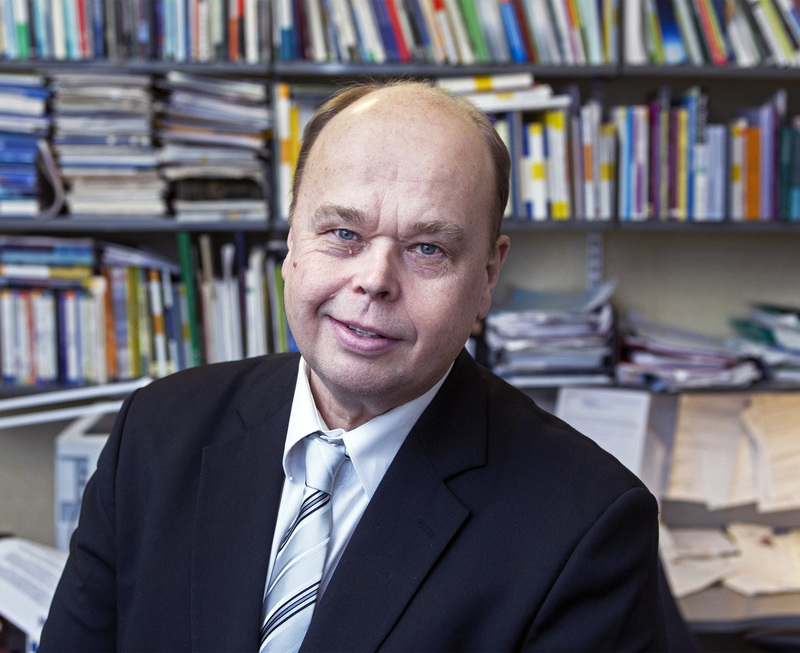 He is a director of National Teacher Education Forum and member of the steering committee of the Finnish Education Evaluation Centre. He is a visiting professor at the Michigan State University and University of Johannesburg. He has been researching science and technology education and teacher education for the last 31 years and his main research interests are science and technology teaching and learning, curriculum development, teacher education and use of ICT in education. He has published altogether 150 refereed scientific papers in journals and books, 140 other articles and 160 books for either science teacher education or for science education. He has been active in international consulting, for example, involving the renewal of teacher education for example in Norway, Peru and South Africa. Lederman, J., Lederman, N., Bartels, S., Jimenez, J., Akubo, M., Aly, S., Bao, C., Blanquet, E., Blonder, R., Soares de Andrade, M. B., Buntting, C., Cakir, M., EL-Deghaidy, H., ElZorkani, A., Gaigher, E., Guo, S., Hakanen, A., Hamed Al-Lal, S., Han-Tosunoglu, C., Hattingh, A. & 30 othersHume, A., Irez, S., Kay, G., Kivilcan Dogan, O., Kremer, K., Kuo, P-C., Lavonen, J., Lin, S-F., Liu, C., Liu, E., Liu, S-Y., Lv, B., Mamlok-Naaman, R., McDonald, C., Neumann, I., Pan, Y., Picholle, E., Rivero Garcia, A., Rundgren, C-J., Santibanez-Gomez, D., Saunders, K., Schwartz, R., Voitle, F., von Gyllenpalm, J., Wei, F., Wishart, J., Wu, Z., Xiao, H., Yalaki, Y. & Zhou, Q., Apr 2019, In : Journal of Research in Science Teaching. 56, 4, p. 486-515 30 p.
Lavonen, J., Henning, E., Petersen, N., Loukomies, A. & Myllyviita, A., 1 Jan 2019, In : European Journal of Teacher Education. 42, 1, p. 4-18 15 p.
The Finnish national medal, The Order of the White Rose, the 1st class, conferred by the President of the Republic of Finland. Juuti, K., Lavonen, J., Jauhiainen, J. & Kärkkäinen, T.
Salmela-Aro, K., Hakkarainen, K., Juuti, K. & Lavonen, J.